Kids like to travel but can become fidgety when the trip takes too long. This can happen in the car, on a train or bus or in the air. Give them something to do to occupy their time. * Car games – Don’t worry about extra supplies. You only need your imagination for this one. See how many different state license plates they can find. How about “Name that Tune”? Hours of fun are yours, and no equipment is required other than your brain. * Toys – If this is the first time that a child has flown or ridden a train, surprise them with a new toy. Stockpile some small toy purchases and unveil them during long trips. They promise to keep your child occupied for a while. For the younger ones, choose toys with brightly-colored parts that are movable but not easily removed. Tether it to your childís seat so you arenít constantly retrieving it from the floor. * Travel kits – You can buy these online or make one yourself. Start with a hanging organizer for kids. Find them at Wal-Mart or even your local dollar store. Fill the pockets with their favorite age-appropriate things: crayons, pencils, construction paper, drawing paper, safety scissors, books and games. Attach each one to the back of the seat in front of your children for easy access. * Books – Older kids can practice their reading with a good book. For younger ones, choose interactive volumes that have fuzzy pages, pop-up pictures and make sounds. The one possible drawback here is that your child may want you to read it for them. But at least they will be still and quiet, right? * Video games – Some parents don’t like to keep their children occupied with such games but on a long trip, it can be a necessity. Choose educational or mind-challenging games for them to play. They will be learning while staying busy. Invest in an adapter that will work in your mode of transportation (car, train, bus, and plane). * Movies On an airplane– All you need is headphones if your airline offers back seat entertainment. When traveling by car, donít forget the portable DVD player. Kids can watch their favorite movies. When they are entertained, the trip doesnít seem as long to them. Frozen anyone? 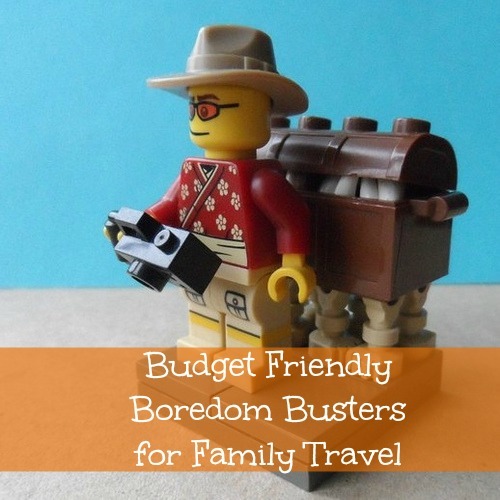 Prepare for your long trip with a few boredom busters for the kids. Select age-appropriate games for your family. Allow the kids to help you decide what will peak their interests and add in a few little surprises. This should help the whole family have fun and most importantly, ENJOY the vacation.